Lesley Christiane lives in Twickenham West London with two dogs, one saxophone-playing husband and her elderly father Ernie. She spends her time writing, singing Jazz, running Twickenham Jazz Club and running around after dogs. Born in Chester in 1957 she grew up in Ellesmere Port on the Wirral. 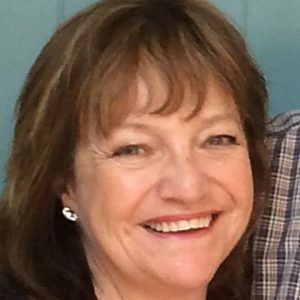 Lesley moved to London in the 1970's and led a colourful, lively life as a singer/songwriter performing at clubs, festivals and in some of the many London wine bars. In 1980 she was signed by Chrysalis Records. In 1985 she became a single Mum to one boy child and life changed forever. In 1990 she opened one of West London's first designer florists in Ealing and life changed some more. By 1995 they were bequeathed a white Bichon Friese puppy and life changed forever... They called him 'Gershwin'. Years passed, the flower shop thrived, her son matured into a surfer and went off to surf the world. Gershwin at seventeen became a fluffy white cloud in the sky and the empty house was filled by Dizzy Dog who after a brief encounter in Bushy Park became Daddy Dog to little Blossom. Blossom Dog at less than 2 Years old was killed by a car and the once happy house was filled with sadness. So other dogs came to visit and console everyone. Sometimes they stayed overnight and so 'The Doggy Hotel' was created. The Doggy Hotel is Lesley Christiane's first published book.